Out of the 100 million women—almost 11 million in the United States alone—who are on the pill, roughly 60 percent take it for non-contraceptive reasons like painful periods, endometriosis, PCOS, and acne. While the birth control pill is widely prescribed as a quick-fix solution to a variety of women’s health conditions, taking it can also result in other more serious and dangerous health consequences. Did you know that women on the pill are more likely to be prescribed an antidepressant? That they are at significantly increased risk for autoimmune disease, heart attack, thyroid and adrenal disorders, and even breast and cervical cancer? 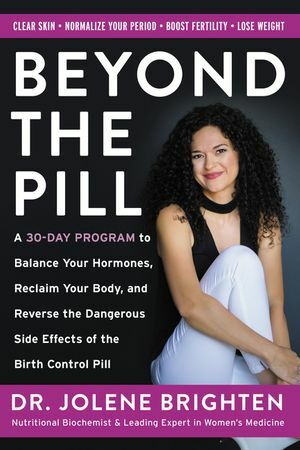 That the pill can even cause vaginal dryness, unexplained hair loss, flagging libido, extreme fatigue, and chronic infection. As if women didn’t have enough to worry about, that little pill we’re taking to manage our symptoms is only making things worse.